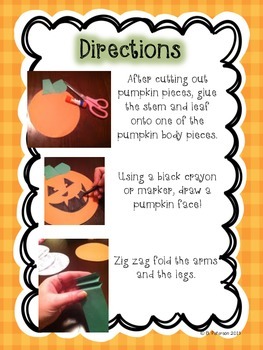 Celebrate Halloween with this super cute pumpkin craftivity! 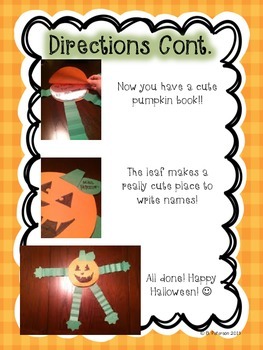 Included in the download are all of the master pages to copy your Pumpkin People, detailed photo directions, and 3 different writing activities. 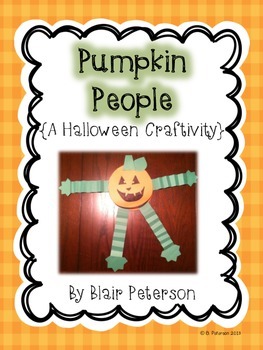 These pumpkin people and writing pages make adorable books to decorate for Halloween! 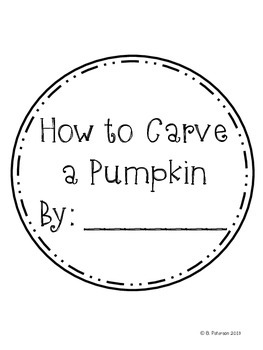 I hope that you and your students enjoy this! Happy Halloween!